The mug club at Jones Radiator is an elite fraternity of beer lovers. 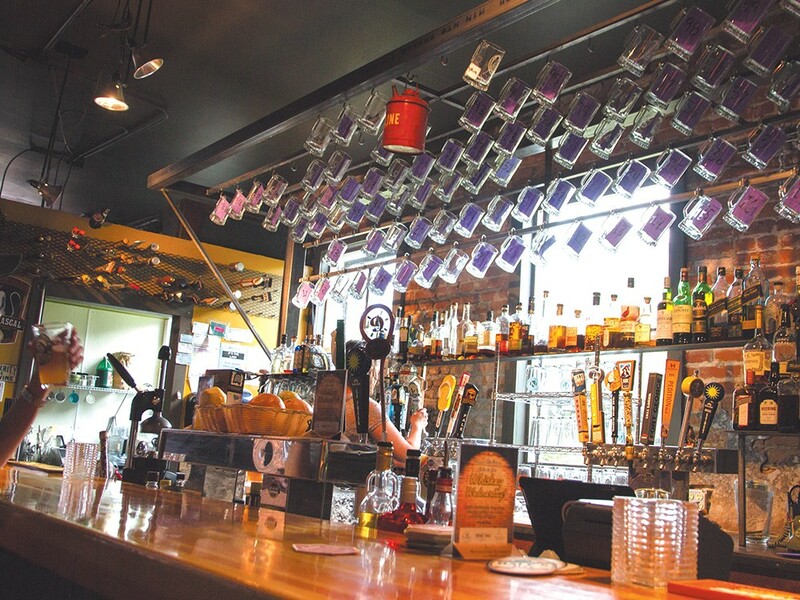 The numbered glass mugs hang in rows above the bar at Jones Radiator until the bartender reaches up with a pole to fetch one. Mug Club member No. 61 is here for a drink. For committed drinkers who believe more beer is better beer, a mug club is the best kind of affiliation. Jones Radiator has one of the better-known mug clubs in town, and it follows the traditional rules: A limited number of club members get more beer — at Jones, it’s 23 oz. for the price of what other customers pay for a pint — and other exclusive perks for an annual fee. With only 100 spots in all and lots of members renewing, the signup day each year at Jones Radiator draws a crowd for the limited number of available mugs. The competition is even stiffer at MickDuff’s Brewing Company in Sandpoint, where the wait list filled up in three hours during this year’s signup. The newest club in Spokane is the “pub club” at Saranac Public House — it begins officially on May 1 — where up to 100 members pay $60 to get 20 oz. for the price of a pint and some unique benefits like Happy Hour food prices all the time. The Flying Goat has a more low-key club that comes with a similar 20 oz. upgrade, plus a growler and weekly discounts. Signing up costs $25, and annual renewals are $15. Down in the college town of Pullman, the oldest mug club is also the most exclusive: More than 100 applicants — typically undergrads — vie for 25 new spots each semester at The Coug. Once accepted, a member gets “discounted beer for life,” owner Bob Cady says. The club began in 1980 and will reach mug No. 3,000 next spring. More than 1,000 of those mugs are in storage for alumni, who can call ahead if they’re going to be in town. At the Moscow Alehouse, where the mug club has been going strong for almost a decade, the black mugs are decorated by their owners — stickers, custom etching, anything — and hung from the ceiling on rows of hooks. Joining costs $28, but the number isn’t limited, so they boast more than 300 members.